Neteller is owned by Optimal Payments PLC, a British, Publicly traded company. It is a typical e-wallet service that’s particularly popular in the world of online gaming – and even more particularly with online casinos. It started processing payments to casinos online around 15 years ago, when it was executing transfers involving approximately 80% of the world’s online gaming establishments. The vast majority of Neteller’s income at the time, in fact, came from transactions it processed involving online gaming establishments. It’s was an absolute giant in the online casino banking space. Most of its users, however, were US-based, and since the introduction of stringent anti-gambling laws there, Neteller’s income and popularity have fallen quite drastically. 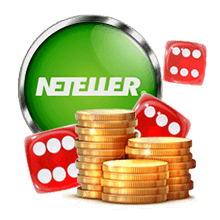 Nevertheless, Neteller remains a widely-used, important player in the world of online casino banking and is accepted by a vast number of online casinos to this day. Neteller is one of the most popular e-wallets in the world and is used by people from over 170 countries around the world. Depositing funds into a casino account would first require users to register with Neteller and create an account. Neteller is an e-wallet, making its use somewhat like a debt card’s, in the sense that one would have to deposit money into his/her Neteller account before being able to make payments using the service. This may be executed through bank wire, credit cards, debit cards, as well as other e-wallets, such as Giropay and Ukash. If transfer time is a major issue to you, it makes a difference with method you use to inject funds into your Neteller account. Credit and debit card payments tend to be the quickest option. Many online Casinos also offer users the option to withdraw their winnings using Neteller. Players are advised to inquire about this prior to making a deposit, should they want to use a single banking option for both deposits and withdrawals. Transfer times are, or at least should be, instantaneous. Deposits and withdrawals should appear in players’ casino and Neteller accounts as soon as they are processed, or at least, within a matter of minutes. Although extracting funds from your Neteller account may take a few working days, depending on your bank of choice, as well as other factors. As far as customer assistance is concerned, Neteller boast some of the best in the business. They offer full, 24/7 customer support through telephone, e-mail and even live chat. They are second to none in this area. Rule the Net with Neteller! Unfortunately, Neteller is not available to players within the US, Canada and a host of other countries. However, if Neteller is available to you, Casino Toplists does recommend its use as a banking option. The fact that it’s an e-wallet means that users would not have to submit sensitive information to third parties and its use of 128-bit encryption technology makes it all the more safe. For those who value discretion, Neteller is also a viable option, since transactions will not show up on their personal bank statements should they not want them to. Bonuses are another valid reason for using this banking option. Not only does Neteller operate an internal rewards programme for regular users, but there are also many casinos out there who would reward online gamers for choosing Neteller as a banking option. These rewards may come in the form of physical gifts or cash.